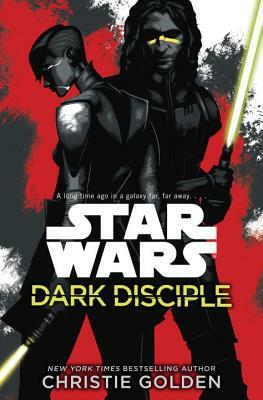 Based on unproduced episodes of Star Wars: The Clone Wars, this new novel features Asajj Ventress, former Sith apprentice turned bounty hunter and one of the great antiheroes in the Star Wars galaxy. The only way to bring down the Sith’s most dangerous warrior may be to join forces with the dark side. But the ever-elusive Dooku is dangerous prey for even the most skilled hunter. So the Council makes the bold decision to bring both sides of the Force’s power to bear—pairing brash Jedi Knight Quinlan Vos with infamous one-time Sith acolyte Asajj Ventress. Though Jedi distrust for the cunning killer who once served at Dooku’s side still runs deep, Ventress’s hatred for her former master runs deeper. She’s more than willing to lend her copious talents as a bounty hunter—and assassin—to Vos’s quest. Together, Ventress and Vos are the best hope for eliminating Dooku—as long as the emerging feelings between them don’t compromise their mission. But Ventress is determined to have her retribution and at last let go of her dark Sith past. Balancing the complicated emotions she feels for Vos with the fury of her warrior’s spirit, she resolves to claim victory on all fronts—a vow that will be mercilessly tested by her deadly enemy . . . and her own doubt. Christie Golden is the New York Times bestselling author of more than thirty novels, including Star Wars: Dark Disciple and the Star Wars: Fate of the Jedi novels Omen, Allies, and Ascension. Her media tie-in works include launching the Ravenloft line in 1991 with Vampire of the Mists, Fable: Edge of the World, more than a dozen Star Trek novels, and multiple World of Warcraft and StarCraft novels, including World of Warcraft: Thrall: Twilight of the Aspects and StarCraft II: Devils’ Due.